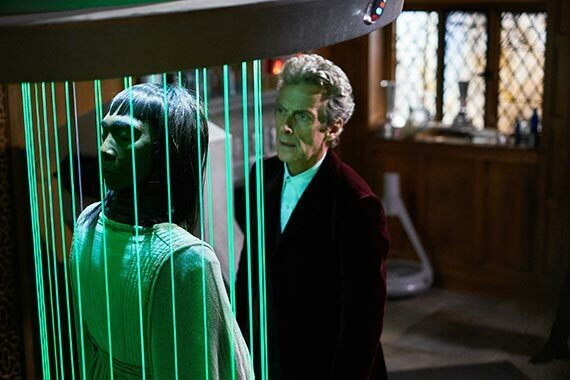 Doctor Who: Ten Best Moments From FACE THE RAVEN | Warped Factor - Words in the Key of Geek. As I mentioned back with The Girl Who Died, I love it when we get to see glimpses of the Doctor and Clara’s off screen adventures. It was nice to see them having one last bit of fun before Clara’s death. Once again this focused on Clara’s reckless abandonment and love for adventure, which (as I have theorised for the past few weeks) became key to her ultimate fate. I love it when I’m right. It was good to see Rigsy show up again instead of introducing a new character. I liked how the story took time to show how he had matured somewhat since Flatline by having him settle down and start a family. I hope we see Rigsy again sometime in the future - perhaps some time soon when the Doctor discovers his mural to Clara on the TARDIS. A very touching scene albeit too short. Perhaps it might have taken away the emotional value of the scene but I’d have liked more. I hate to pick apart such a nice moment, but the fact the TARDIS is clearly in the Roath Lock back lot and not where the Doctor originally landed it is quite distracting, but hey, this is a best moments piece so let’s move on. What an interesting idea for an alien, I’d like to see them again actually. They could tell some very interesting stories! I thought it was a great twist that the Janus was a trap for the Doctor and I certainly didn’t see it coming! I loved this sequence! It really was just 5 minutes of great fun. Something about it reminded me very much of Flatline - probably both Rigsy and a cool techno sort of score by Murray Gold. Capaldi’s narration was great and that combined with the music actually made it feel quite heist like - it’s almost as if we got a range of different genres in this episode; Gothic fantasy, science fiction, a heist film as well as an urban thriller. 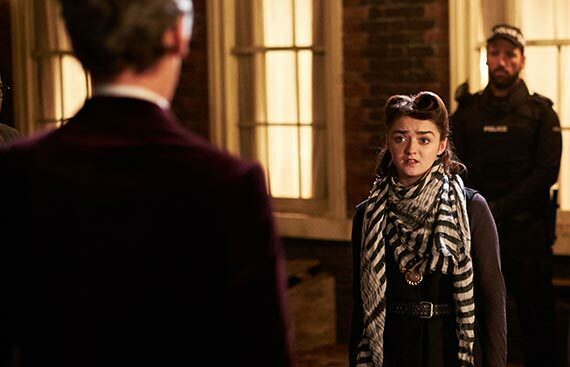 Once again we were shown Clara’s recklessness which both the Doctor and Rigsy acknowledged. I do love foreboding! It wasn’t so much Clara’s death that gave me a lump in my throat and watery eyes, it was Peter. What can I say? The man is amazing. His anger towards Ashildr unleashed his inner dark side once more showing just how much he cares for Clara. What almost got me was Peter’s facial expressions. The tears and sadness in his eyes. It was perfect… that’s all I can say really. Oh, and when he kisses her hand…that was just…sigh… excuse me while I sob in a corner. I’ve been saying it for weeks now. All of that foreboding was leading to something. It was leading to this. I really am lost for words for this one… I love it! In my eyes it was perfect. I really think I am going to have to write a full review or something because I can’t just leave it at that but I will because I am still speechless and I’ve watched it 3 times now! Thank you Sarah Dollard for such a brilliant and imaginative new episode, but at the same time, how dare you write such a hearts (no misspelling there) breaking story. You are a very welcome addition to the writing team. Come back for Series 10, yeah? Next week it’s the Doctor on his own and on the run from a mysterious veiled creature… should be good! 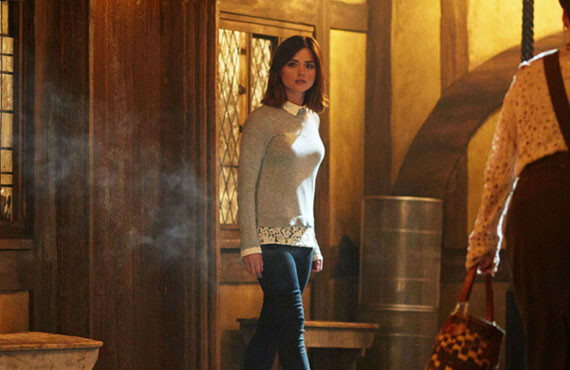 But first, what did you think of Face The Raven? Oh, I have one small bone to pick! Can I just ask, what on earth happened to the title sequence!? It has been out of sync with the music before but, seriously, what was that?